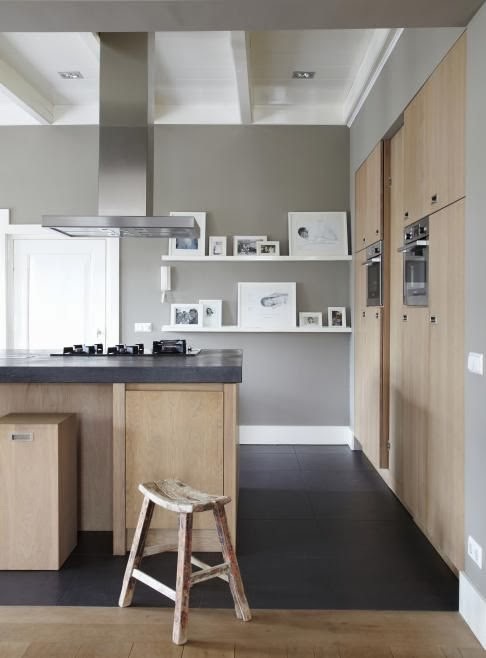 Soft, neutral paint shades create a calm environment for all areas of the home. 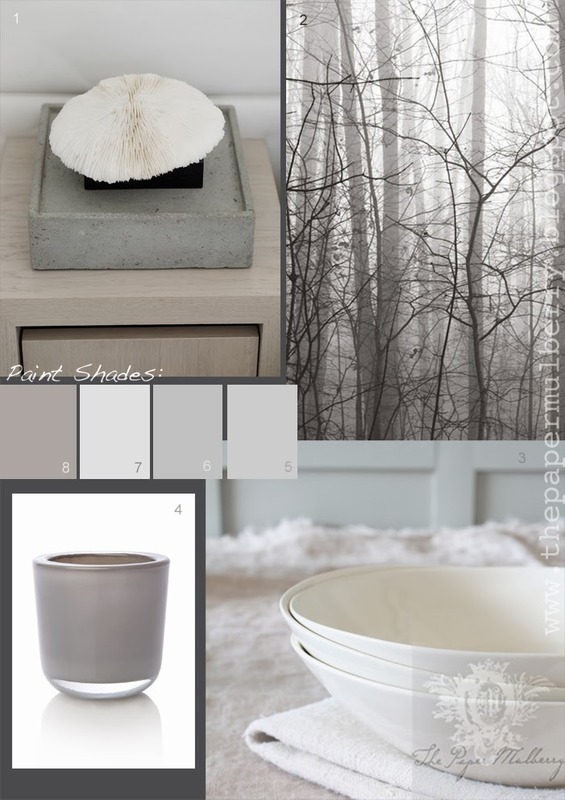 Contemporary tones inspired by nature are offset against natural textures and pure white. 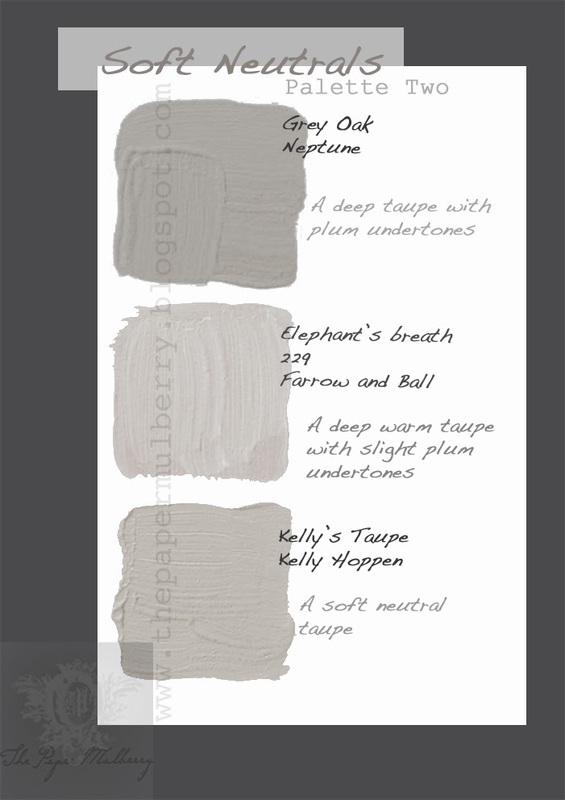 A tranquil palette of mist, fog, putty, taupe, grey and pebble. 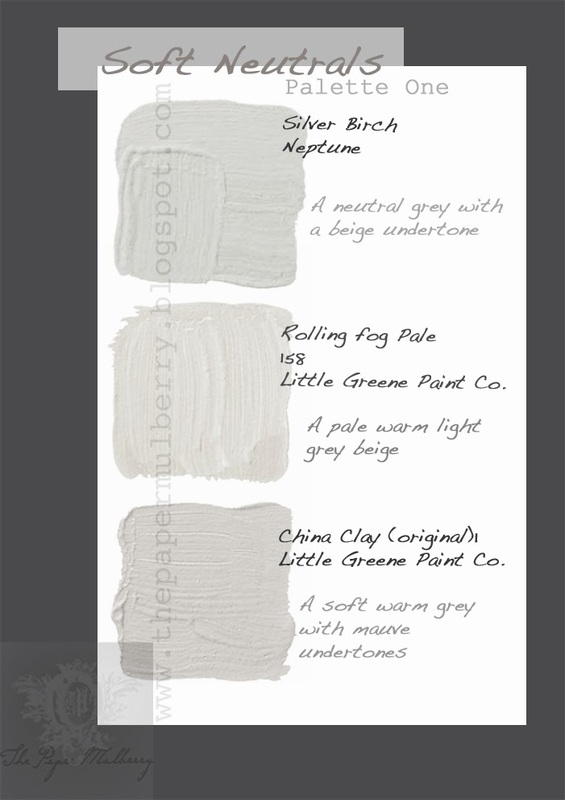 Here are a few of my favourite decorating ideas and suggested paints to try. 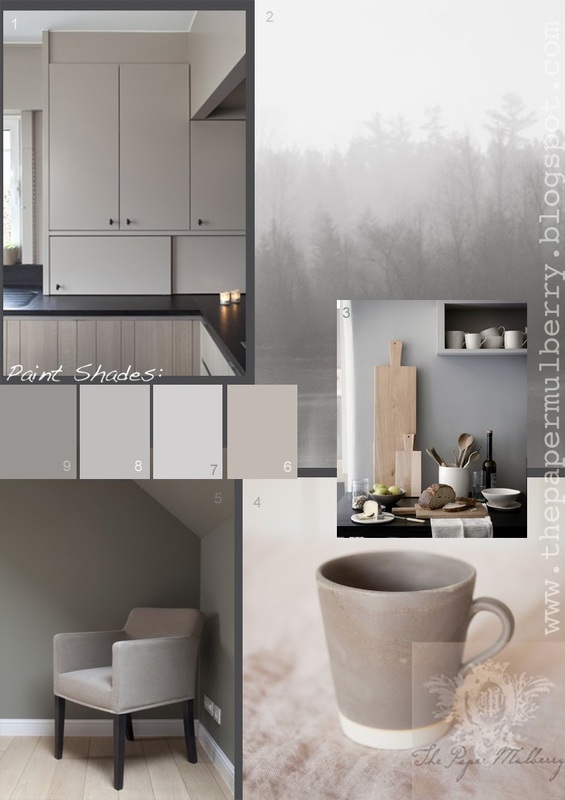 More in this interior paint series to follow....! 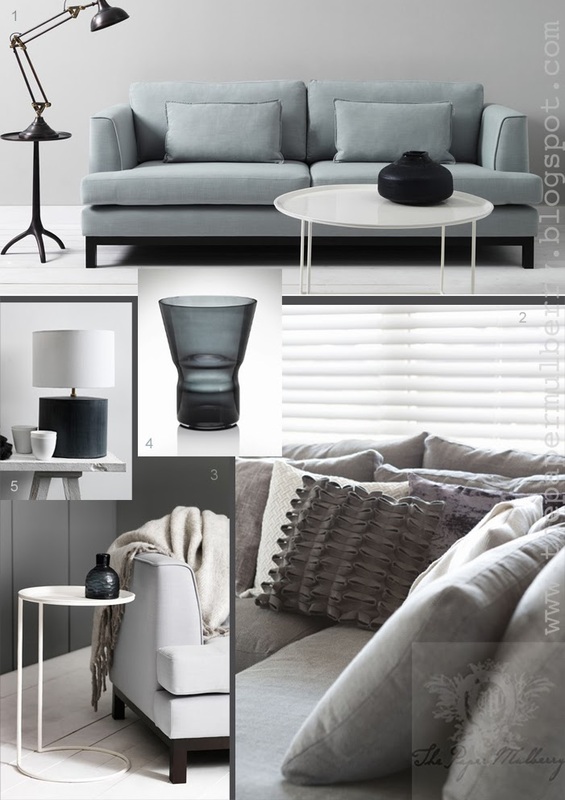 The second of an additional regular monthly feature for The Paper Mulberry - highlighting shops, blogs and products that I have just discovered and want to share. 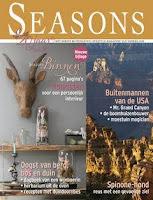 This month it's a wonderful clothing and lifestyle boutique Atelier Home and Garden. 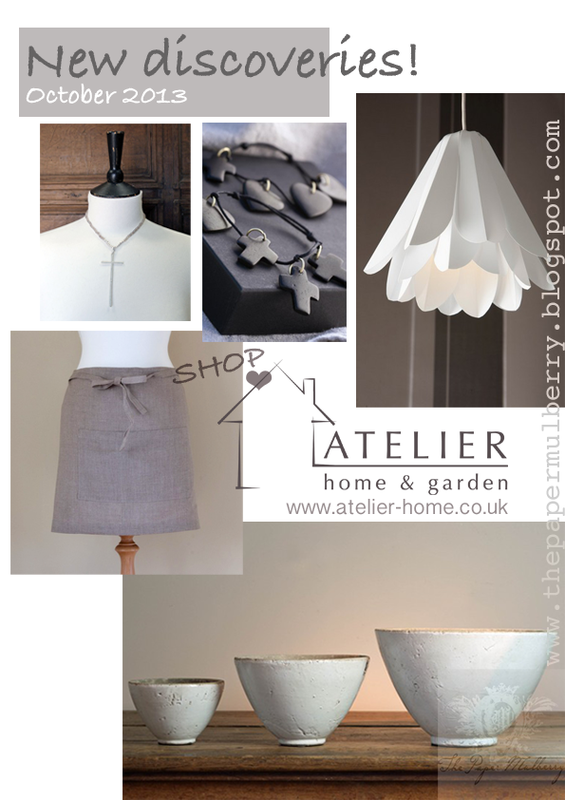 Located between York and Harogate (England) Atelier Home also offers online shopping. 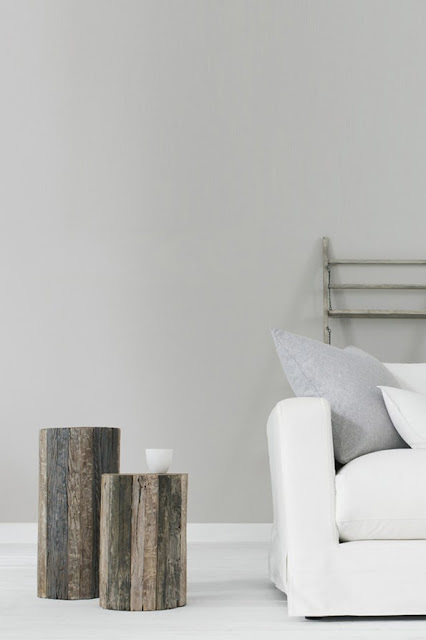 Stocking gorgeous goodies with a "Scandi-Chic" & rustic French twist Atelier Home features brands such as Cote Bastide, Broste Copenhagen and Fog Linenwork. Here is just a small selection of my favourites.